The objective of the Instructional Programme Support Group (IPSG) Sharing is to provide a platform for teachers from different junior colleges to network as well as to share resources and good teaching practices. 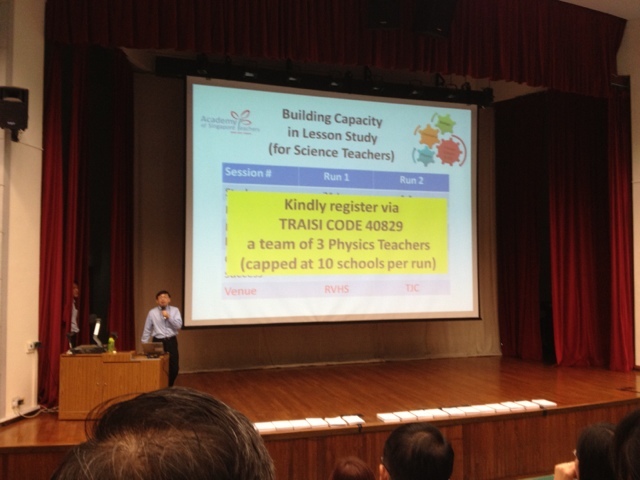 The 3rd IPSG Sharing was held at Anglo-Chinese Junior College and was attended by more than 200 teachers. 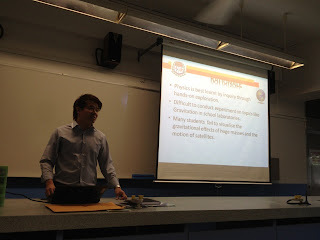 The 4th Physics IPSG Sharing will be held on 18 January 2012 at Anderson Junior College.We have a session too, thanks to Jimmy! 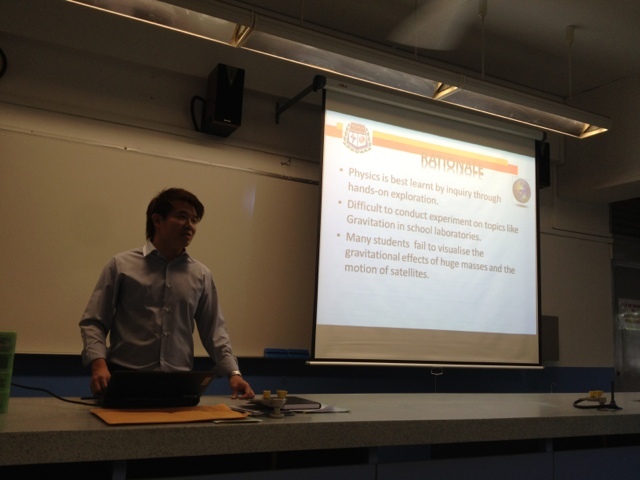 Gravitation is one of the topics that are more difficult for students to understand well, as they are not able to "see" the gravitational field and forces acting on huge masses like planets and it is not easy to demonstrate gravitation effect on small masses using apparatus in school laboratory. To improve students‟ understanding of specific concepts in Gravitation, four easy-java simulations were modified, with the help of an Educational Technology Division (ETD) officer, and incorporated into existing set of tutorial questions at specific junctures. Guiding instructions and questions were designed to help students explore the simulations independently before they consolidate their learning collaboratively through classroom discussion. Ejs Open Source Geostationary Satellite around Earth Java Applet http://www.phy.ntnu.edu.tw/ntnujava/index.php?topic=1877.0. available.3. 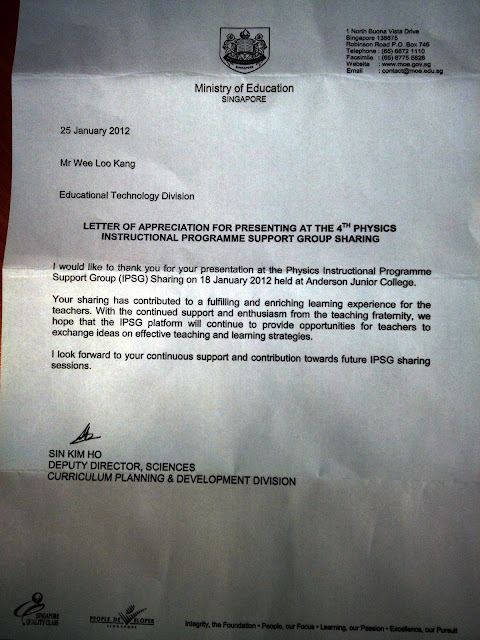 The deadline for registration is 11th Jan 2012.Looking forward to seeing all of you at the 4th Physics IPSG Sharing! 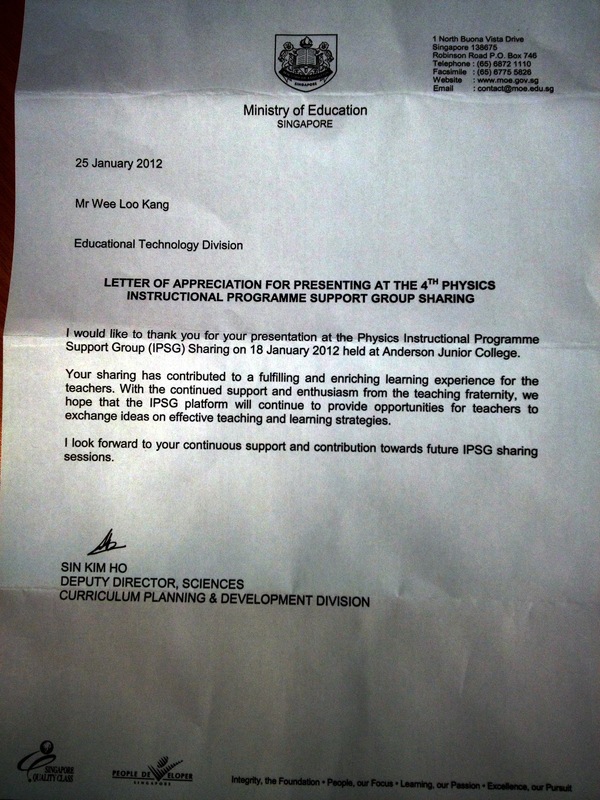 Welcome to the 4th IPSG JC Physics Sharing @ AJC. As we are also hosting the North Zone GP Symposium on the same day, we are expecting many visitors to AJC. We therefore urge you to use the public transport or to car pool. If you are driving, you can also park at the HDB car park just across the road from AJC if our car park is full. The nearest MRT station is Yio Chu Kang station (within walking distance from AJC). Please refer to the attached map. 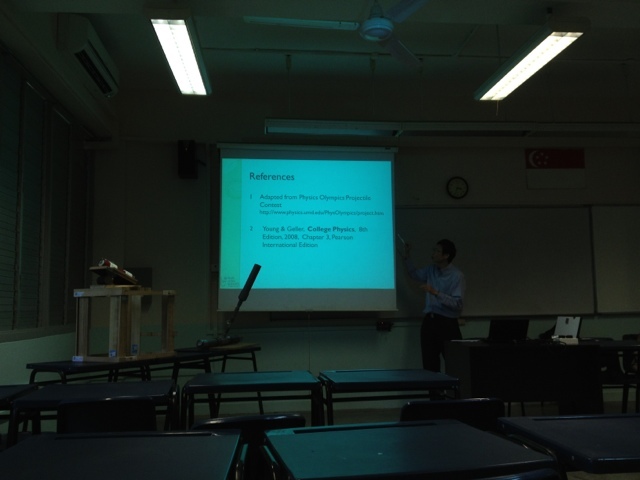 I will appreciate it very much if you can be seated in the Auditorium by 1.55pm. The session will start at 2pm. 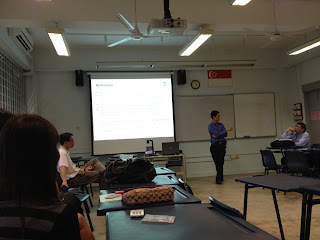 interesting lesson study, can i join? 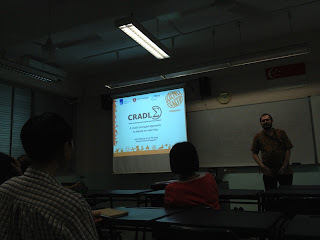 Centre for Research and Applied Learning in Science (CRADLE) project, i cannot find the website on google search. How do we prepare meaningful resources that make learning authentic for our students? In this seminar, I will share my successful experiences and resources on how to engage students by using video-based teaching. Let me give an example of this teaching strategy. 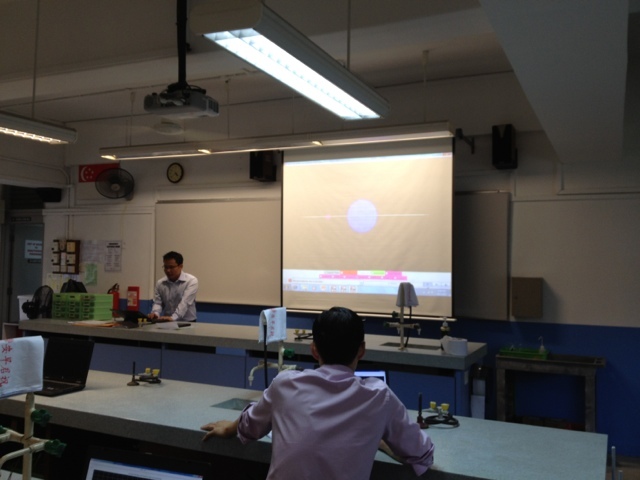 In class, a student is filmed launching a ball in projectile motion. 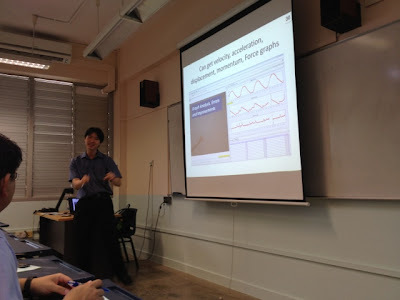 This is recorded in real-time using a handphone camera and in less than a minute, a video can be produced showing the velocity, acceleration, and force vectors superimposed on the actual video itself. We can even plot the actual displacement/velocity/acceleration graphs immediately. This video can then be used to scaffold students on concepts involving Free Body Diagrams, Kinematics and Newton's Laws. 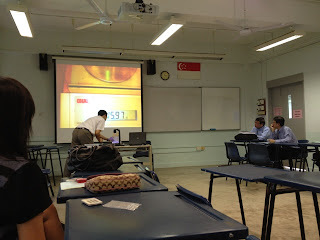 Suddenly, Physics becomes immediately relevant (and hence interesting!) because students are no longer solving problems on paper, but rather, they are using Physics concepts to understand a real-world phenomena that just happened in front of them. We will demonstrate the effective use of classroom response systems (clickers) to promote active learning and formative assessment in our physics classrooms. Useful tips on how to make the teaching with clickers “click” will be shared, with examples and results from our own teaching. clicker is good, wonder if google form can do the job for free? always a good idea to demo the real thing, nice! 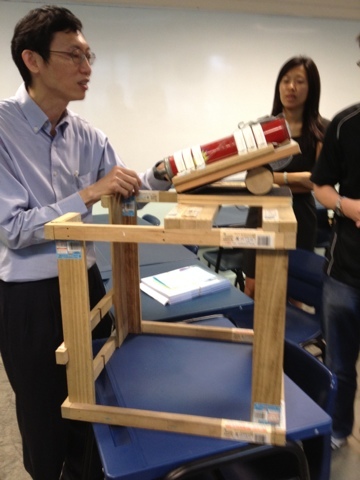 The projectile launcher project is an alternative assessment given to year three students taking the Mechanics module. 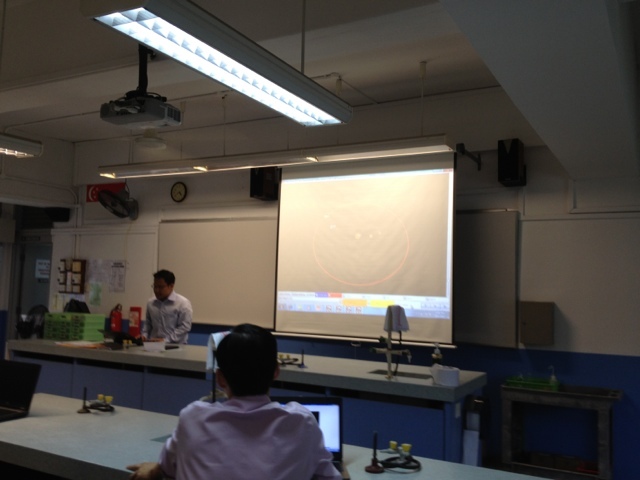 The objective is to provide students with an interesting means to apply the Physics concepts, in particular 2-D kinematics, and experimentation skills. Teams consisting of 3 to 4 students are required to build a launching device for a standard projectile (golf ball). The launching device must propel the golf ball to one of four possible target areas. 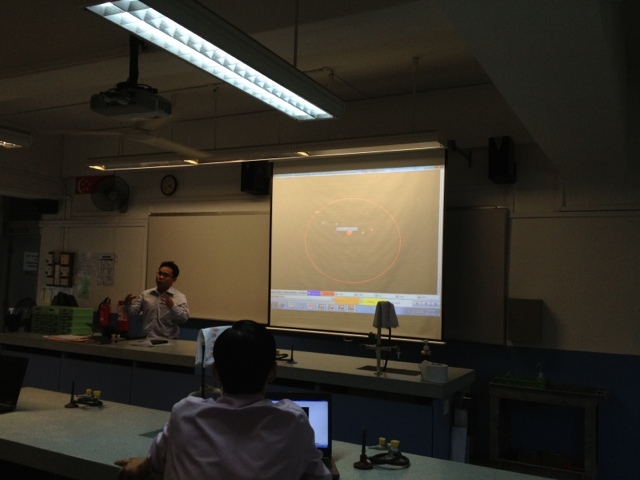 In addition, the golf ball must first clear a 80 cm barrier which is placed between the launcher and the target area. 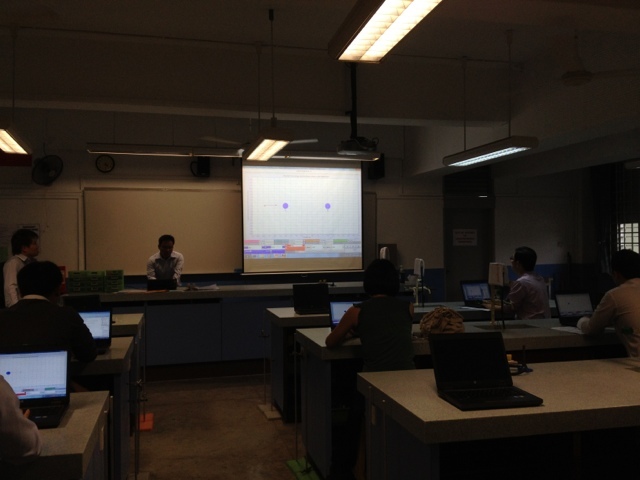 Two targets will be chosen for evaluation. 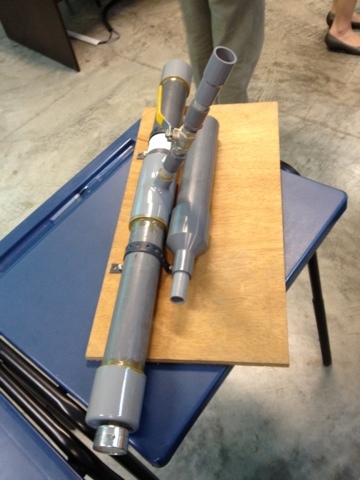 The teams will test their launchers during practical. In addition, each team is required to submit a 1-page write-up of their learning journey. Most students enjoyed the process of making and testing their launchers. They discovered practical constraints as they developed their launchers and find ways to mitigate these constraints. spring projectile motion device built by students, great job! 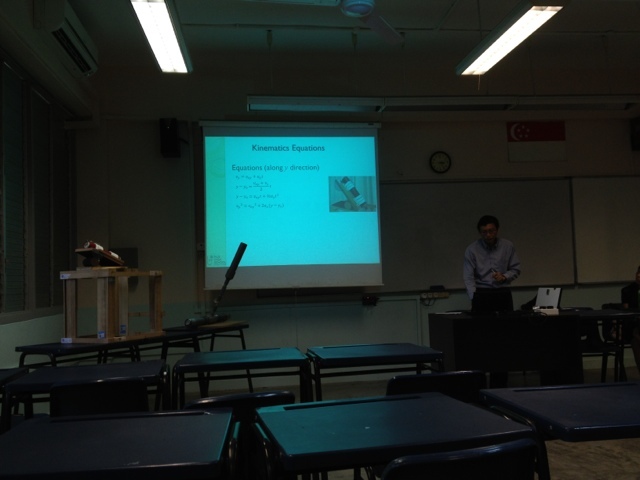 gas pressure projectile motion device built by students, great job! Practical application of physical concepts is key for progressing from memorisation to understanding. “Getting one's hands dirty” can also make the difference between passive consumption of an abstract, dry subject and a captivating active journey of discovery. However, hands-on activities require resources (equipment, time and expertise) that often may prevent their adoption in the classroom. The Centre for Research and Applied Learning in Science (CRADLE) is a new teaching and research lab at Science Centre Singapore that aims to address this problem, focusing initially on physical sciences. Combining experienced scientists and educators, CRADLE not only provides an avenue for conducting experiments, but also to learn about the experimental setup itself (the “engineering”) which helps to understand and reinforce applied science concepts. By not just teaching isolated science facts, but also the practical use of real-world scientific tools and techniques, participants are enabled to build on and go beyond canned experiments, ultimately leading to the competence and skills to make use of CRADLE's resources for independent research projects. 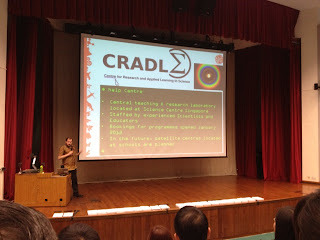 CRADLE also strives to address multiple target audiences: While one focus is to provide a teaching and research lab for pre-university (upper secondary/JC) students, another goal is to be a training and development platform for teachers who want to gain more confidence and skills in bringing hands-on science to the classroom and their school labs with a minimum of resources.